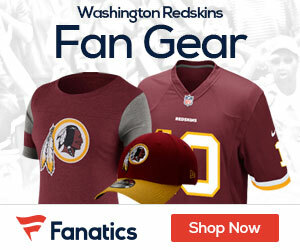 Will the Redskins keep Albert Haynesworth in 2011? Redskins fans who are sick of the drama (both on and off the field) surrounding defensive tackle Albert Haynesworth may not find any relief in sight – at least not anytime soon. ESPN’s Adam Schefter has reportedly indicated that the Redskins are not interested in releasing Haynesworth outright, despite all of the distractions surrounding him during the 2010 season, as well as the multiple off-the-field incidents after the season was over. Schefter reportedly stated that the Redskins will entertain trade offers from other teams for Haynesworth, but could be prepared to keep him if they don’t receive any offers to their liking. Now, this could very well be a ploy by the Redskins front office to help convince a team to offer something other than a late round/conditional pick, especially given the fact that Haynesworth’s perceived trade value is virtually next to nothing, given what a problem he’s been to the Redskins. But Redskins fans could be in for another long season, filled with even more melodramatic story lines, should Haynesworth remain with the team in 2011.